Favorite Hobbies: Michelle enjoys Bonsai gardening, photography and meeting new people through meetup groups. Her guilty pleasure would be playing slot machines with her Mother, but only the penny games! What she did before K-BID: Lived in Thailand for 5 years teaching English. Michelle got to travel through much of Asia during her time overseas. How did she get into the auction business: Michelle took an aptitude test upon returning from Asia and it told her to become an Auctioneer! It was an unexpected answer, but Michelle took a chance and enrolled in an auction school here in Minnesota. There she was introduced to Joe Soderholm, the late owner of K-BID. Joe became a mentor, landlord and friend to Michelle before his passing in 2012 and was instrumental in her early success as an affiliate of K-BID..
What does she enjoy most about the job: She is never bored and learns something new everyday. She is a wealth of knowledge on many different items and gets to meet new people every day. 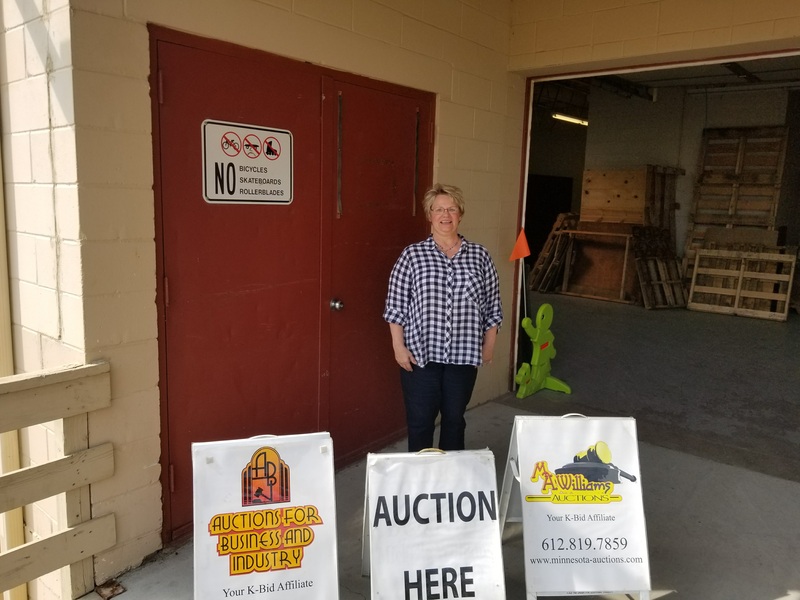 Click here to contact Michelle to manage your next auction!